In the range of anti-ageing skin treatments, soft tissue augmentation has become one of the most popular and widely used anti ageing procedures. It involves injecting or implanting materials under the skin to soften, fill out and erase wrinkles and deep skin folds, as well as plumping up skin and lips. The idea of using soft tissue augmentation as an anti-ageing skin treatment began in the 1950’s with the use of fluid silicone and injectable collagen products were introduced in the 1980’s. Today, there is a wide variety of materials used in soft tissue augmentation, whether as injectables or implants, all providing a relatively safe, non-invasive anti ageing treatment for both men and women. What Can Soft Tissue Augmentation Do? As we age, our bodies’ natural collagen and hyaluronic acid levels start to decrease and elastin fibres deteriorate. This causes our skin to lose its elasticity, leading to wrinkles, creases and sagging folds. In addition, fat stores in the face also decrease – often around the mouth, eyes, jaw line, cheeks, bridge of the nose and brow – leading to furrows on the forehead, crows feet around the eyes and indentations and folds in the lower part of the face. The loss of muscle and soft tissue also leads to loss of fullness and volume in the face and definition also decreases, resulting in features that appear thin and indistinct. Soft tissue augmentation is an anti ageing treatment which is particularly effective at fighting these signs of ageing. It involves the use of flexible substances that are injected under the skin to help fill out hollows, plump out cheek, improve the appearance of wrinkles and fine lines, as well as elevating deep skin creases and folds and even filling out thin lips. The soft tissue fillers basically fill in and replace the lost contours of the face, resulting in a smoother, fresher, more youthful appearance overall. Faces look less gaunt and tired and lips appear full and plump. Any facial scarring or acne marks can also benefit from soft tissue augmentation techniques. 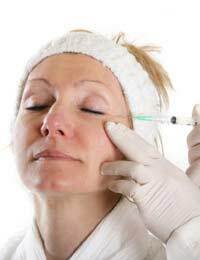 The filler materials injected or implanted under the skin not only fills in the depressions but in some cases, may also stimulate the production of collagen. Why Choose Soft Tissue Augmentation? Aside from its effectiveness in restoring youthful looks, soft tissue augmentation is a popular anti ageing skin treatment because it is minimally invasive and requires minimal recovery time, while being very safe as an anti-ageing procedure. The filler substances used are generally safe and have been in use for several decades now. Side effects and complications are rare and usually temporary – for example, skin reddening and swelling usually only lasts for 24 hours after an injectable treatment although in some rare cases, patients will experience redness, swelling and tenderness for a few weeks after the treatment. Also, on rare occasions, there can be permanent contouring irregularities following the treatment – or, in the case of implants, migration or infection which will have to be dealt with by replacement or removal. The main risk is the chance of rejection and allergy reaction following the introduction of a non-human substance, such as bovine collagen. However, this can generally be pre-empted and prevented by having an allergy test prior to the treatment. What Kind of Treatment is Right For Me? The range of soft tissue fillers available on the market now means that dermatologists and plastic surgeons now have a wide variety of choice and the ability to address a wide range of skin ageing problems and cosmetic flaws. Collagen – used for over 20 years and still regarded by many as the benchmark for injectables; however, this does bring the likelihood of allergic reactions as it is not usually derived from a human source (bovine collagen) therefore, an allergy test is needed prior to treatment to determine if the patient is likely to reject the filler. Naturally, human-derived collagen does not have this problem and does not require an allergy test. However, collagen is now frequently replaced by other materials which not only do not trigger rejection but are also likely to last longer. Hyaluronic Acid – fast outranking other fillers, this substance is found as a natural fluid in our joints and therefore has the benefit of not triggering allergic reactions. It has the ability to bind water and therefore give the skin volume. The results are long lasting – several months in many individuals. Human Fat – using your own fat does not pose the risk of triggering an allergy reaction but does require a more complicated procedure of removing fat from other parts of the body via liposuction first. Implants – these are used more for hollow cheeks and deep facial grooves, such as nasolabial folds around the nose and mouth. The filler is made of collagen-related material and polymers and is inserted under the skin in the form of hollow tubes, strips or threads and it acts as permanent filler. Alternatively, it can also act as a foundation for other injectable fillers. The swelling and bruising should subside within 10 days and implants will continue to soften over the 3-4 months after surgery.